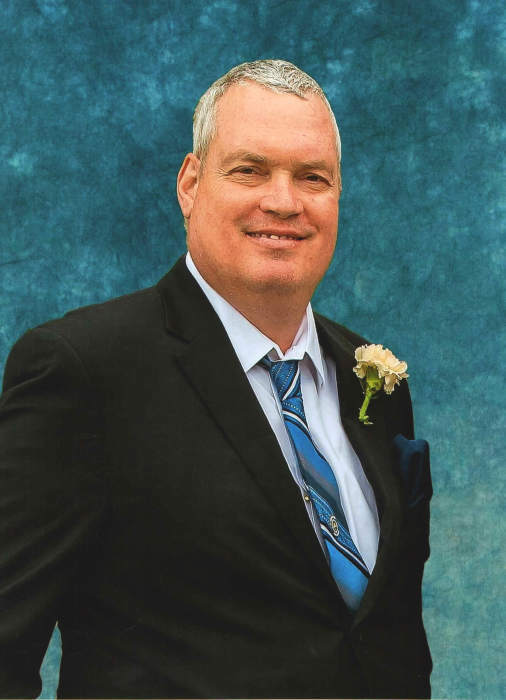 Obituary for Ben Neil Beckett | MacIntyre Family Funeral Home Ltd.
Peacefully after never giving up on a courageous fight with brain cancer, on Monday November 19, 2018 at his home, surrounded by his family. Ben Beckett at the age of 55 was the beloved husband of Sally Beckett of 34 years, loving father of Robert (Jenny) and Ryan (Sylvia), adoring “Grampy” of Daelyn, Joshua and Julia. Ben was the caring son of Helen Moore (George), brother of Bonnie-Lea Voros (the late John) and Bridgette Amyotte (Lee) and the late Todd Beckett (Angie). Ben will be remembered by his mother and father-in-law George and Pat Baines, brother-in-law Stuart Baines (Debbie) and sisters-in-law Lindsey Hughes (Chris) and Leanne Baines (Kris). Ben was a long time, loyal and respected employee for McNally Construction Ltd. for over 32 years.